Favorite Line: For every one of the years of his life, this bay had been here, filling its shape in the land. He had labored like a mole, head down, in the darkness and dirt of London, and all the time this tree shifting its leathery leaves above him had been quietly breathing, quietly growing. Seasons of sun and heat, seasons of wind and rain, had come and gone, all unknown to him. It would go on sighing and breathing and being itself after he had gone, the land lapping on and on, watching, waiting, getting on with its own life. The Orange Prize–winning author Kate Grenville recalls her family’s history in an astounding novel about the pioneers of New South Wales. Already a best seller in Australia, The Secret River is the story of Grenville’s ancestors, who wrested a new life from the alien terrain of Australia and its native people. William Thornhill, a Thames bargeman, is deported to the New South Wales colony in what would become Australia in 1806. In this new world of convicts and charlatans, Thornhill tries to pull his family into a position of power and comfort. When he rounds a bend in the Hawkesbury River and sees a gentle slope of land, he becomes determined to make the place his own. But, as uninhabited as the island appears, Australia is full of native people, and they do not take kindly to Thornhill’s theft of their home. The Secret River is the tale of Thornhill’s deep love for his small corner of the new world, and his slow realization that if he wants to settle there, he must ally himself with the most despicable of the white settlers, and to keep his family safe, he must permit terrifying cruelty to come to innocent people. I loved this book. In a novel full of rich and gorgeous prose, it was hard to pick a favorite quote. Just the act of reading this book itself gave me so much pleasure- I would sometimes just go back over the same words and marvel at how well they fit together, how genius Grenville must be to make descriptive passages just so, in a way that created such vivid images. It is not surprising at all that this book was shortlisted for The Booker Prize. It's beautiful. 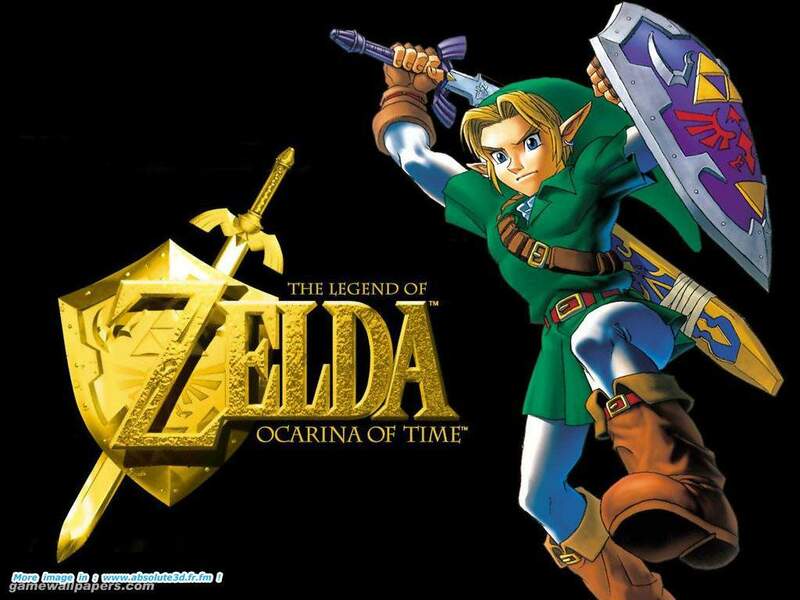 The story caught me from the beginning, and didn't let me go. It is absolutely heart-rending. I don't know how much research Grenville did- if she pored over books and historical documents, or if she just wrote and did her best to get the right "feel" for the period of early Australian colonialism. Whatever method she employed worked wonderfully for me. The Secret River is above all about the ache, the passion people feel for a place they call home. The desire a man feels to make something of himself, become bigger than he is, to make his mark on the world. And the inevitable conflict that comes with the culture clash. Colonialism in all its forms has a lot to answer for- from the time of the Romans spreading north across Europe to England currently still holding fast to Gibralter, it has shaped and changed the world in sometimes terrifying ways. This was certainly the case in Australia, where the colonists (many of them from the lower dregs of society themselves) came up against a completely alien culture that was natural, nomadic and, for the most part, naked. It's hard when approaching a book about historical racial conflict, to hit the right tone. Sometimes (such as in the novel One Thousand White Women), the "historically accurate" tone of racism is so blatant and painful that it physically makes me ill. Sometimes, authors tiptoe around the issue so much that there isn't much impact made. I think that Grenville hits the tone perfectly- because, in my opinion, most people aren't just born racist, with a hatred for all things different than themselves. Instead, it comes by degrees. It is often justified as not being racism, but as the only means to a desired end. And, sometimes, people aren't racist, but blame race for problems as it's an easy outlet for rage. And sometimes, just sometimes, even racist people feel guilty about their acts of violence and hate. William Thornhill is one of those people- who turns, slowly but steadily, from one person into another, and doesn't realize it until it's too late and the damage is done. Kate Grenville presents him in an imperfect light, but a sympathetic one. He is a complex and fascinating character, and while there were many times in the book that I did not like him, I could not help but respect his tenacity, and I always, always looked for a reason to cheer for him. This book is beautifully written, tackles a huge subject with an artist's touch, and leaves its mark. Highly, highly recommended. PS- And, if that isn't enough to make you want to jump up and grab the book... Sal, the main female character in the book has made it to my list of Heroines That Don't Annoy Me! It sound like you loved this book as much as I did! I had the pleasure of reviewing it for Harper Collins before they release it. Then last year, Kate Grenville came to the Vancouver Readers and Writer's Festival. She is an excellent speaker! 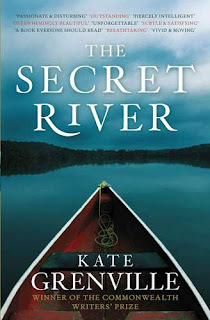 Her book about writing The Secret River, "Searching the Secret River" was recently release here in North America. I bought it, but haven't had a chance to read it yet. I've heard that it is also quite good. I read this book a while ago and enjoyed it. I really don't read enough Australian HF! Sal is definitely the best character in the book! I did enjoy the book, it just hasn't been my favourite this year. The prose was excellent, but it was a little weird with the speech in italics I agree.